I've only tried a few products from Cathy Doll and there face powders are something that I liked. Just after that, I found out that they also have skincare line which I decided to explore so I got myself this particular scrub to begin with. I'm familiar with peeling gels for the face but I guess it would be the first time I ever heard a peeling gel for the body. Sounds interesting right? I love effective body scrubs because they really smoothen and deep cleanse the skin and body scrubs in any form will always be something I'm excited to try. So, I guess the question is, did Cathy Doll White Milk Shine Peeling Body Scrub work? The milky body scrub gel is rich in Milk Protein and contains White Strawberry. The gel texture is full with moisture that helps to remove inactive skin cells and stimulate the skin cell renewal at the same time while reducing wrinkles and dullness after application. It is rich in milk protein that smoothens the skin. It also helps remove inactive skin cells and stimulates the skin renewal at the same time while reducing dullness. Gently massage on dry skin until dead skin cells are peeled off. Then rinse off with clean water. Use this twice a week. I think that the overall packaging is very hygienic. When I bought it, it's still wrapped in an outer plastic. It also has an inner protection seal so the product won't just leak or drip. The container is huge enough to carry 320ml of product so I think decanting to small containers will be very useful when you are someone who travels a lot. The overall packaging is very cute and appealing and that's something you can always expect with Cathy Doll. It has all necessary information like claims, directions, ingredient lists, as well as manufacturing and expiry dates. The peeling body scrub smells chemicals which is fine as I'm not really picky with scents. It has a gel texture that kind of turns liquidy when gets in touched with the skin. It does not sting the skin so I believe even those who have sensitive skin may still opt to using this. It also rinses well without leaving any sticky, slimy residue. This product is packed with Milk Proteins and White Strawberry that is supposed to renew and moisturize the skin. I did not see such significant effect though because I stopped using after the second applicator. Why? I think it's just a waste of time if your main concern is to scrub away dead skin cells. This product just turns liquid when applied and you have to massage your skin hard and several times to create just few and tiny 'scrubs'. It's tiring and at the same time, doesn't feel like it's thoroughly cleaning/exfoliating the skin. I know other peeling gels that peels away dead skin cells in just seconds. So no, I'm not gonna settle on this one. My skin felt sore from all the rubbing. I regret spending P249 for this and would not really recommend for people who are looking for effective peeling gels. For me, it does not do its job properly and you better save your P249 for something like what, St. Ives, I guess? If you're able to read the makeup tutorial I did with all of Althea Korea's Color Makeups, you'll notice that I included this creamy concealer as part of my base makeup. I am not someone who religiously incorporate concealers in my makeup routine for some reason but I was tasked to do a one-brand tutorial so I had to. I'm so happy I did because I think I finally found an affordable holy grail concealer that I'd reach out for ever time I needed some concealing and highlighting. Hands down to these babies for their quality and price! Spots, panda eyes and other blemishes raining on your parade? Smooth over and cover them up with Althea's Flawless Creamy Concealer, a pigmented, blendable concealer that'll whisk them all away! This buildable formula is made with Aquaxyl to moisturize and improve the overall health of the skin, while its long-wearing properties ensure it stays on your face all day. You'll be looking and feeling great in no time! Product comes in a slim, transparent plastic container with a matte black handle and a doe foot applicator. I like that it's transparent so you get to see how the product and shade look from the outside. This minimize mistakes in choosing the right concealer shade. The product is also sealed with a sticker which is a pain to remove as it leaves sticky papers which attracts dust and dirt very easily. That's pretty much a minor issue but I can't help being concerned. As of the moment, Althea Korea Flawless Creamy Concealers comes in four (4) shades namely Vanilla, Ginger, Honey and Mocha--arranged from the lightest to the darkest shade. You can tell that the shade selection is pretty limited and I'm hoping they could add more so as to cater those that does not have their exact match. On the other hand, this is already quite a feat considering most Korean base makeups only comes in two shades. If your skin is lighter than most, you can even use the lightest shade as a highlighter and the darkest one as a contour. These concealers have very pleasing scent though if you don't prefer scented makeups, you might find it off-putting. All shades have same consistency--creamy and soft. It definitely lives up to its name. I like how blending is such an ease whether using a finger, brush or sponge. It dries semi-matte so you will have enough time to blend it to areas you're putting it on with absolute zero hassle. I would say these concealers give light to medium coverage. Full coverage is very hard to achieve unless you pack several layers on which no beauty blogger would ever recommend. Doing so will lead to patchy, cakey makeup. I'd say 2-3 layers would be fine if you really have dark under eyes or scars to cover. Swatch provided down below is just one layer as I prefer spots and blemishes still peeking through rather than sporting a completely flawless skin. If you are after the latter, go for an extra layer. Althea Korea Flawless Creamy Concealers blend seamlessly on the skin without too much of moving around. 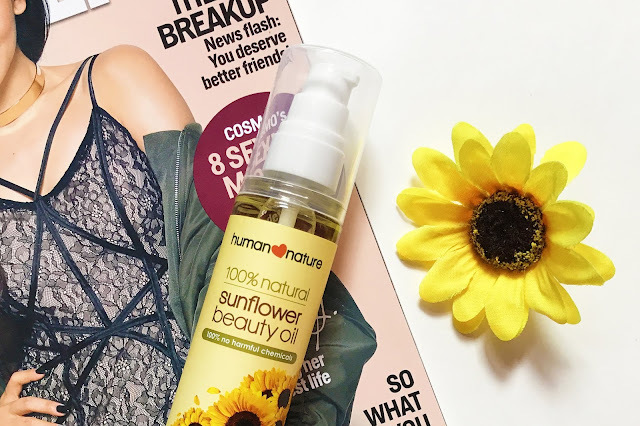 Take it from someone who's got large pores and oily skin problems! It definitely sets naturally as if you have nothing on and they will last a good 6-8 hours with minimal oxidation. Again, my skin is acidic and oily at the same time so if you're skin's more normal, it might even last longer. I'm really happy to know that these concealers are makeup and skincare in one. It's packed with Aquaxyl to keep the skin smooth and moisturized, perfect for the under eyes as a first step to avoid wrinkles and fine lines! I cannot believe that a piece is only P200 (less than $4) and despite lacking a bit in coverage, I'd still go for it because it's oily skin-friendly and I can do multiple things with it. I'm lucky I have my shade (Ginger) and that's what I use to highlight my skin. See photo below. I could still use Vanilla but since my skin is warmer, I think Ginger will be the better option. Mocha isn't just too dark to contour my chubby cheeks which is why I'm begging for more shade options. Overall, these concealers are great value for money. If Althea will come up with more shades, I'm sure to repurchase. I also highly recommend this product to beginners because...well, it's just so affordable and easy to use! Last February, I did a makeup tutorial with Althea Korea's Color Makeups and these spotlight eye glitter were included on the products that I used. It's also one of my favorites from the collection. It's an eye makeup that transforms a simple eye shadow to an outstanding one quickly. As of the moment, it comes only in two (2) shades which is gold and pink light but I hope they'll expand with more sparkly colors. A sparkling eye glitter product that's easily blendable to use as eyeshadow, comes with a precise brush for eyeliner . It dries down to a long wearing finish. It's also suitable for all skin types. Product comes in a slim cardboard box that has limited information about the product or what I think so because I don't really read and understand Korean language. I'm still thankful that shades and expiry dates are printed in clear and crisp fonts. The eye glitters comes in a transparent plastic packaging with a slim applicator that makes application so convenient. I like that it's transparent so I get to see how the product looks from the outside. Overall packaging is effective because not only it's lightweight and travel-friendly, it's also easy to store. This is a liquid gel eye shadow that has Squalene (that conditions and improves suppleness of the skin) and finely milled shimmer pigments (for a reflective glow). The product feels a little tacky at first but sets to a dry texture after a few seconds. It's okay for me because it feels like the liquid formula glues the shimmer to the skin so it would wear long even on oily lids. Despite the long-wearing property, it's very easy to remove with almost any type of makeup remover so tugging will be minimized. I like that the shimmer is very gentle on the skin and does not irritate the eyes. It's very safe and easy to use and even for a beginner like me, I find it one of the makeup products to use wherein you won't go wrong whether you put a little or too much. You can also use it on its own or as a last touch to enhance your eye makeup and make it more inviting. Check out the look that I created with this down below! See how vivid the sparkles are with only a dab of the product! It last me the whole day with minimal fading. Given the fact that a little goes a long way, P300 per eye glitter is not bad at all. But if you prefer mixing and matching shades, I'd suggest you go for pans and sets because they are more economical to use. Did you hear about the newest product range that's launching in Althea Korea? Well, here's a great news--they're now out! You can finally start shopping for deals and freebies when you visit ALL Althea Korea's websites from where you are! 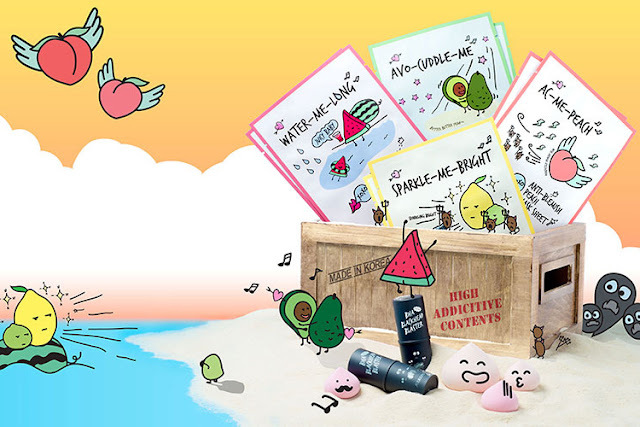 I know they make it big because it's the brand's newest range that, by far, includes four (4) mask sheets variants (Nourishing Avocado, Brightening Lemon Lime, Anti-Blemish Peach Mask, and Moisturizing Watermelon), a Giant and Baby Meringue Puffs and a BHA Blackhead Blaster. I'm hoping they'll add more in this collection though. What's even better is that they're not just funky and adorable, they are very budget-friendly too! Can you believe that a piece of the mask sheet only retails for P20 ($0.20) and a set of 10 masks for only P180 ($3.50)? The giant and the baby meringue puffs, which are both latex-free, are being sold for only P100 ($2) and P140 ($3) consecutively. The one I'm most excited about is the blackhead buster which is only P200 ($4)! Can't wait to clear all these pesky black spots in my nose! Because it's their launch, Althea Korea has offered sweet deals for everyone. How about 10+10 mask sheets for only P180? That's 20 pieces for only P180! Just don't forget to apply the code ABMASKS upon checkout. Also, buy the puffs or blackhead buster and get a free limited edition mobile phone grip! You can also try one mask sheet variant for free just by adding it to your cart. Discount will apply automatically. You can also get a chance to get a limited A-Bloom box! So what are you waiting for? Go visit ph.althea.kr to get an A-Bloom product of your choice!